Bristol County is a county located in the state of Rhode Island. 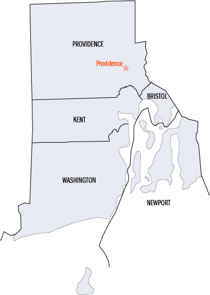 Based on the 2010 census, the population was 49,875, making it the least populous county in Rhode Island. In terms of land area it is the third smallest county in the United States, at only 25 square miles (65 km2). 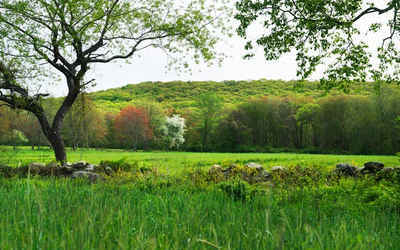 The county was created in 1747 when it was separated from Bristol County, Massachusetts. 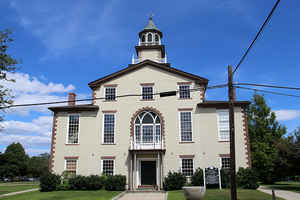 The original county was part of the Plymouth Colony and named after its "shire town" (county seat), what is now Bristol, Rhode Island, named for George Digby, 2nd Earl of Bristol. As reported by the Census Bureau, the county has a total area of 45 square miles (116 km2), of which, 25 square miles (64 km2) of it is land and 20 square miles (52 km2) of it (44.80%) is water.